A unique celebration rich in German culture and full of Texas fun located in beautiful New Braunfels, Texas! 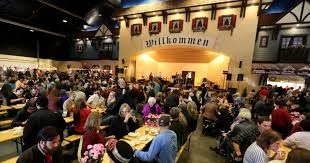 Enjoy good fun, food, special events and the finest in Alpine and Bavarian Style Entertainment. If you haven't been to Wurstfest you need to treat yourself! During the 10-day festival, you’ll find a variety of entertainment, food and fun on the Wurstfest Grounds in Landa Park as well as many special events throughout New Braunfels and Comal County. Masskrugstemmen is back at Wurstfest! Men’s Masskrugstemmen starts at 8:00 PM, Women’s at 8:15. Both events take place in the Big Tent. While in New Braunfels, check out the Texas Museum of Handmade Furniture! This place is fantastic if you love history and New Braunfels! Heritage Village/Museum of Texas Handmade Furniture Tours – Open 1pm-4pm daily during Wurstfest – Located at 1370 Church Hill Drive, adjacent to Conservation Plaza. See fine collection of Texas Biedermeier furniture hand crafted by German cabinet makers from 1840-1880. Heritage Day – November 4 10am to 5pm – A Living History encampment with specialists demonstrations, how the early German and Anglo settlers survived the region. Hands on activities for all ages. Admission: $5.00-Adults/$4.00-Seniors/$2.00 Children 6 to 12. For more information visit our website at www.texashandmadefurniture.org or call 830/629-6504.